If you’re thinking about or have decided to build a new driveway, one of the big decisions you have to make is which driveway materials to use. Your choice will impact how much you pay, its aesthetics (how it looks), maintenance required, and how long the driveway will last until you have to replace it. Thus, there are a lot of factors to juggle. Here is a brief run down of the driveway materials you may want to consider for your next project. At the end there will also be a brief discussion of some of the other material you may have to purchase or use in order to complete your driveway. 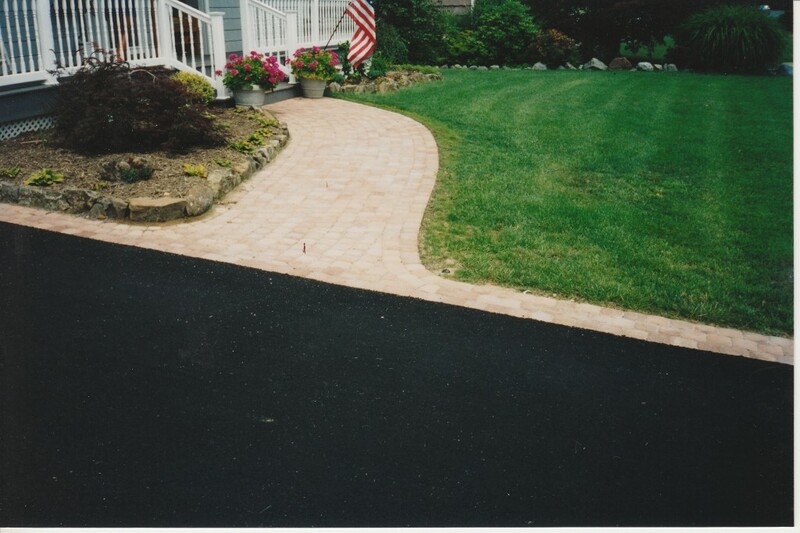 A standard driveway material that has stood the test of time. If installed correctly, it will last a very long time, though cracking could be an issue in certain climates. Can also be colored, stained, and stamped in order to increase the aesthetic options, as the plain grey concrete can be rather boring. This is a relatively cheap material as well, though a homeowner will usually not have the skill to pour all the concrete by him or herself. This is a great material for many driveways, as it will not show stains well and it will resist cracking. This is one of the most cheap driveway materials, so pick this if looks and overall durability aren’t your main focus. Do realize that you will probably have to repair, maintain, and eventually replace this project within a relatively short period of time compared to other options, especially depending on how well the project is installed. The benefits and advantages of concrete pavers have been explained in many places on this site. Overall, this material is a great balance between value, price, durability, beauty, and design flexibility. If you need truly permeable material, you could go with grass pavers. These are also eco friendly driveway materials, as they allow grass to grow between the honeycomb structure while also letting water easily drain through. This is a very expensive option, but perhaps the most beautiful out of the entire list. There are many different types of stone that can be used for driveways – such as cobblestone – and they bring the beauty of the natural world to the front of your home – for a price, of course. Related to concrete pavers, these are not as strong, but they are generally a bit cheaper. They may also require a bit more maintenance. Made out of clay. These driveways are cheap and last forever. There are many different types of stones you can use, from gravel to small stones like bluestone. These stones come in many sizes and colors to fit your design and aesthetic requirements. Combined with borders for the driveway, these stones can be kept relatively well contained in most cases. They require some maintenance when the stone goes astray, however, and it may not work with certain decors. Another idea is to have a plain driveway made out of recycled concrete. This is a great idea to save you money; plus, you’ll be using recycled driveway materials, so you’ll also be doing your part for the planet. The only disadvantage here is that the final product may not look great. If you just need function, though, it may be just fine for your purposes. This driveway type is essentially a mix between asphalt and stone driveways, as stones are poured on top of the hot asphalt. These are alternative driveway materials, as they are not as popular as the others discussed above – there’s not much information out there about this type. However, it is a very cheap kind of material, and it enjoys some benefits over its close neighbor, asphalts. When installing a new driveway, there are some other materials you may have to use to complete the project. You may need fill if you need to do heavy excavation. You will need a sub base, such as one made from recycled concrete or crushed aggregate. You may also need sand in order to lay down the material, such as for concrete pavers. You may also need topsoil to fill in your landscaping once the driveway is completed in addition to flowers, trees, plants, and other landscaping necessities. Realize that there will be many factors that will affect your final decision. Besides the obvious ones (budget, looks, taste, function), there are some more subtle ones. For example, environment – if you have a lot of water in the area, you will need a driveway that drains well. Solid surfaces, like concrete and asphalt, will not drain as well as more porous ones. Do you need to use the driveway for specific purposes, like playing basketball? Will it see heavy vehicular traffic? How much time do you have to invest in maintenance? How will the chosen material affect the property value of your home? These questions and others will be important to think about when you make your final decision. This entry was posted in Miscellaneous, Reviews and Comparisons and tagged alternative driveway materials, basics, cheap driveway materials, driveway materials, driveways, eco friendly driveway materials, other materials, projects, recycled driveway materials by Will Grander. Bookmark the permalink.